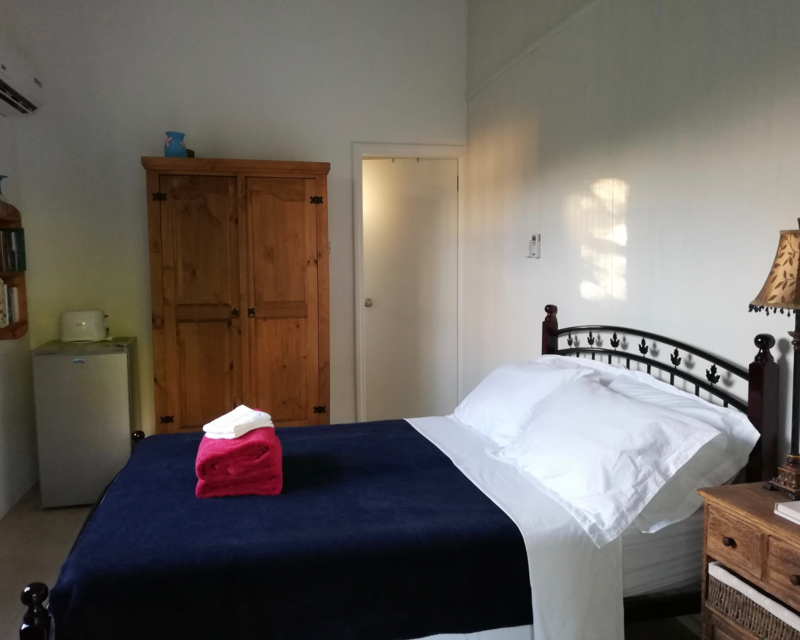 A large studio room (sleeps 2) is furnished with two double beds, comfortable sofa and coffee table, dining for two, simple kitchenette and en-suite shower room. Whilst the kitchenette won't allow you to cook a Sunday Roast it is perfect for throwing together a light bite or creating a side dish whilst you BBQ. Air Conditioning, Wifi, cool tiled floors throughout. Palm Studio (sleeps 2) has consistently come through for Millenials and Boomers alike. 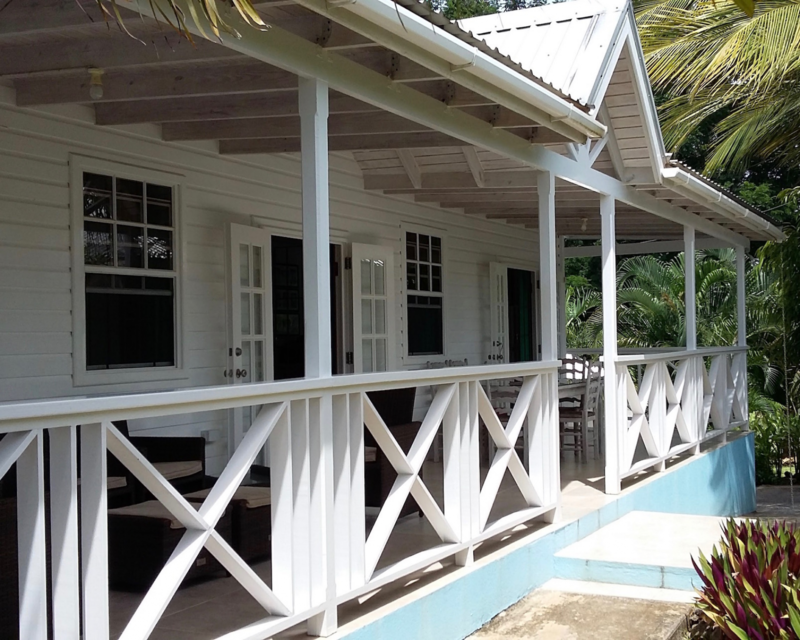 Being set slightly apart from the other three units within Gibbs Glade Cottage & Garden Studios has made Palm Studio a consistent hit with the honeymooners. 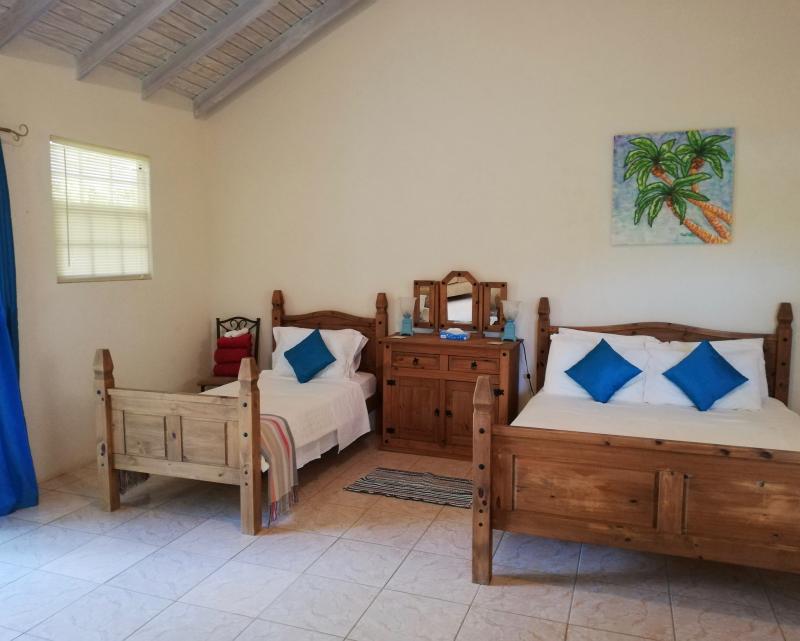 Furnished with both a comfy king size bed and a single day bed, making the ideal combo for an afternoon siesta and also a good nights sleep. Come and enjoy our take on affordable accomodation. A cool edge, simple, fun and cleaned to within an inch of its life. No kitsch. 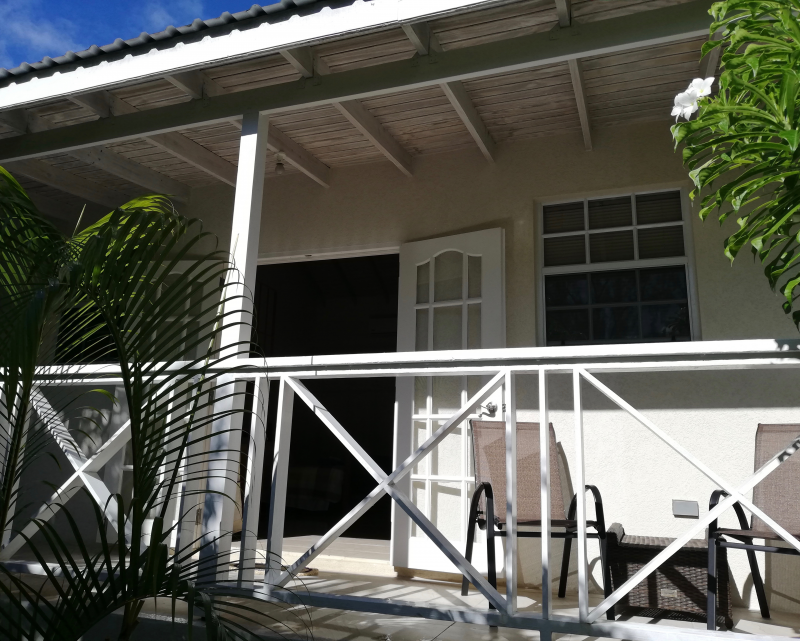 Pretty two bedroom Cottage (sleeps 3) in one double and one single bedroom, both with air conditioning. The open plan layout is ideal for a holiday. The finishes throughout include pickled pine, coral rendering and tile floors which give a real beach house feel and epitomizes inside outside living. 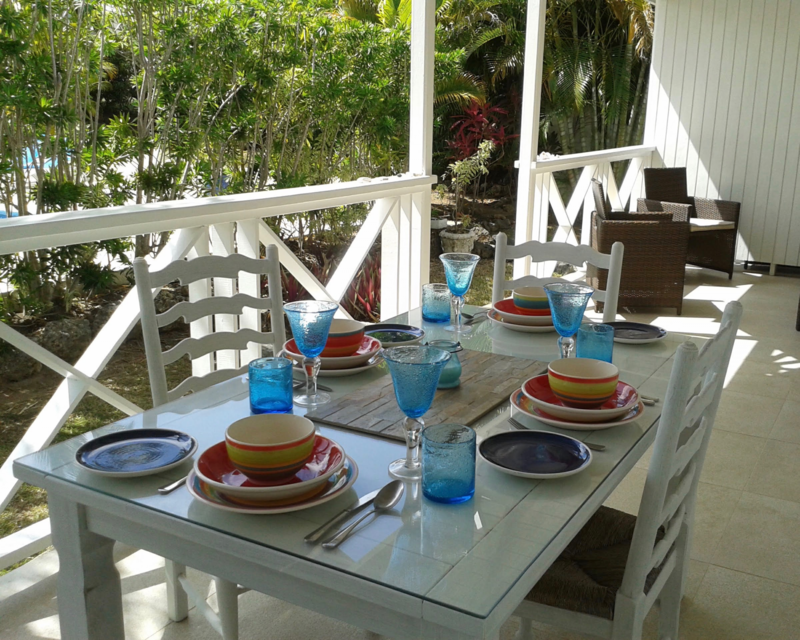 It is well furnished with wooden furniture throughout plus satellite TV and wifi. A breakfast bar opens into the simply equipped kitchen including a washing machine. The reception room and the kitchen both open through French windows onto a large veranda, offering plenty of room for sitting and dining. The Cabin was designed with the single traveler in mind. Having said... it works a treat for cosy couples but please know that it is compact. 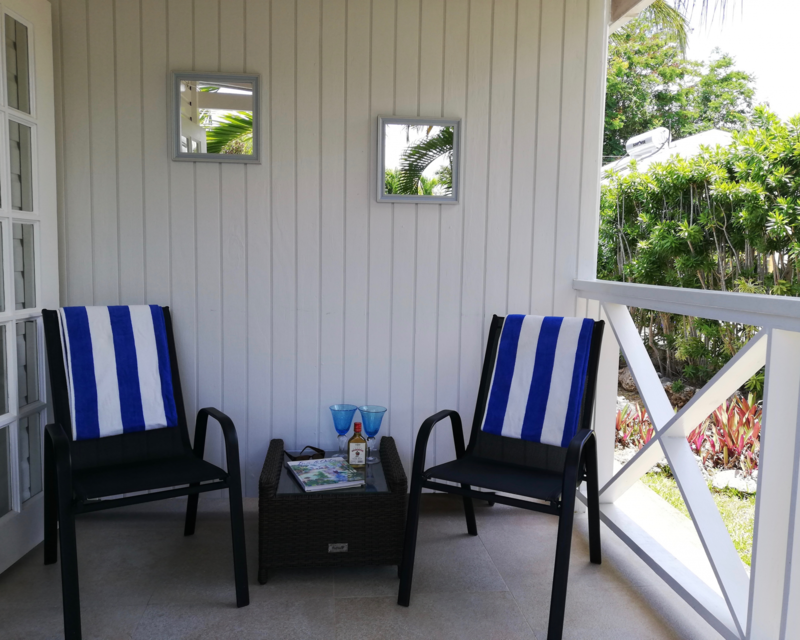 If you are just looking for a clean space to haul up in after the beaches, pool, bars and restaurants then you have hit the jackpot. 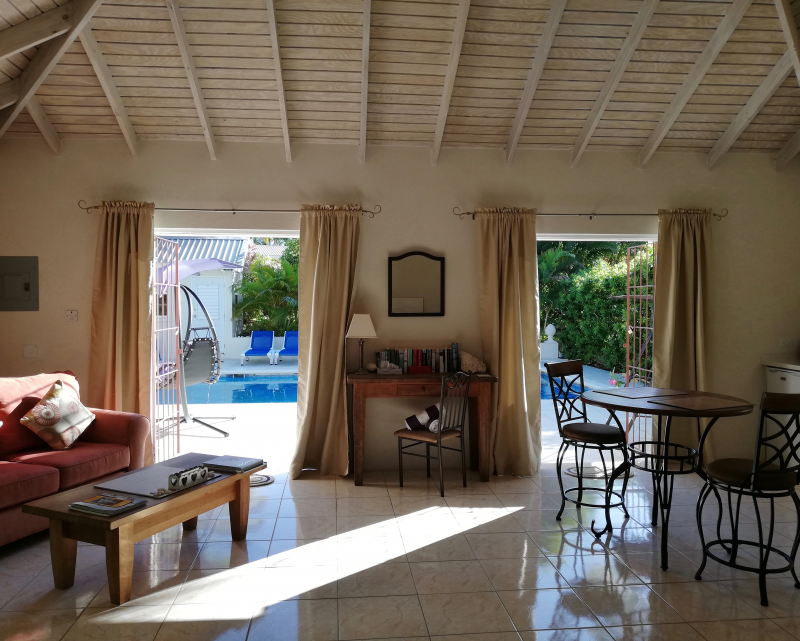 A powerful AC, a walk in shower, high vaulted ceilings and french doors leading onto an east facing veranda to capitalise on the cooling trade winds. With more than a nod to those who travel light or backpack, we have nailed it for the trendy but budget, niche holiday maker.